I asked three of my closest friends about how they would describe me, and they responded professional, passionate, and most of all – silly! 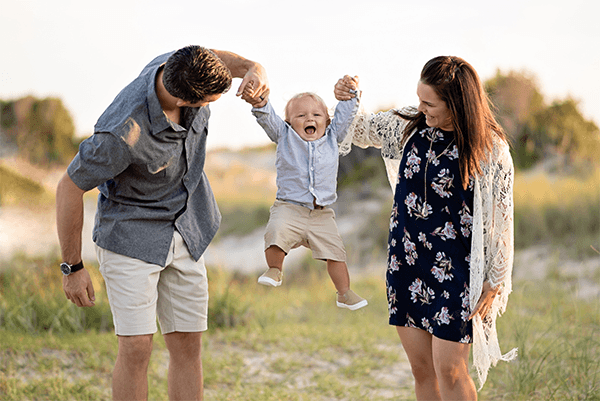 As a devoted portrait + wedding photographer in Virginia Beach, VA, I strive to capture my client’s most precious moments for them to enjoy for many years to come. Alongside my high quality photographs, prints and photobooks, I also offer a rentable photo booth to really “get the party started” at your next event or wedding! I was born and raised in a little town in central Massachusetts. I love my Patriots and my Red Sox, Cape Cod, autumn foliage and Dunkin Donuts! In 2009 I followed a handsome guy I knew from college all the way to California where we spent 6 amazing years enjoying the California weather and lifestyle. As much as we loved the west coast, my husband’s job moved us back to the east coast to good ole Virginia Beach and this is now where my heart and home is. Virginia is where we settled down, got ourselves a couple dogs, bought a house, got married and started our family! I’m a proud mama to my handsome boy and our two black labs. I am thrilled to call Virginia Beach my home. Part of what I love most about being a photographer is that it allows me to do what I love while also spending time with those that matter most like my friends and family. I love working with people who cherish their relationships and value the importance of a good, timeless photograph – both candid or posed. I’ve been snapping photos ever since you had to take the roll of film to the pharmacy to get it developed. I spent endless hours in the darkroom in college and have fine tuned my craft now that we are in the digital age. I love seeing how the photography industry has and will continue to evolve over time! As a dedicated photographer, my go-to tools include my trusty Canon Mark lll and my 50 mm Prime lens. 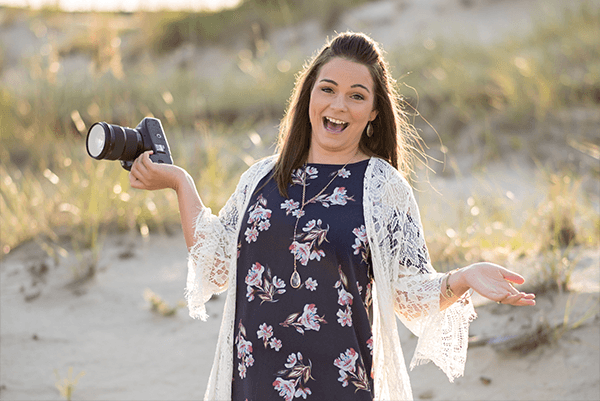 One of the major benefits of being a Hampton Roads photographer are the beautiful views and backdrops that I have to work with… from wide, open Virginia meadows to the peaceful, sandy beach. Stop by and say hi today… I’d love to meet you, your family, your bride or groom, your spouse, or your children to capture your personality and love for one another!